Fields was recorded in 2017 after a year of creating new work and performances. Tracks explore improvisation and experimental music and instruments, spanning pieces created between 2016 and 2017. 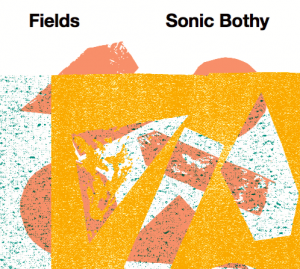 The opening track ‘3 Degrees Kelvin We Drift’ demonstrates Sonic Bothy’s ensemble range and dynamic playing. ‘8 Panes of Glass’ explores rich layered vocals, chamber music influenced improvisation, and found materials. There are a variety of duos on the album, and ‘AGX’ includes the group playing newly commissioned glass instruments by Edinburgh based glass artist, Carrie Fertig.